Our dental clinic can help you to restore your smile. Are you searching for a dentist in Denver who offers dental implants and oral surgery? It can be a daunting thing for many to undertake, but if you have missing teeth and you’re looking for a solution, our team is here to lend a helping hand. At Summit Family Dentistry, we pride ourselves on going above and beyond to ensure that our patients feel comfortable in our clinic. Whether your teeth have fallen out or you’ve recently needed to have a tooth extracted, our dental implant procedure is designed to give you back your smile. Learn more about what you can expect below, or contact us today to schedule an appointment! 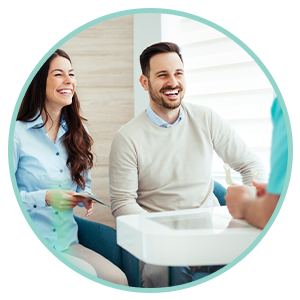 Why Choose Summit Family Dentistry? Are you interested in replacing missing teeth? Summit Family Dentistry can help restore your smile. Dental implants are among one of the most popular procedures patients choose to transform the way their teeth look. 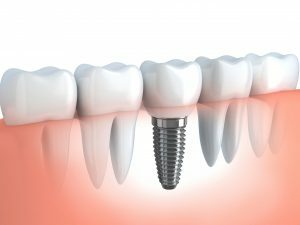 Whether your teeth have fallen out or you have had a recent extraction, dental implants offer you a chance to achieve an outstanding smile. 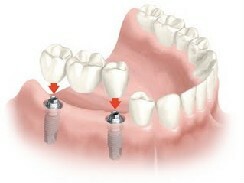 A dental implant is an artificial root upon which a tooth can be placed. Implants are used to support the replacement of a single tooth, multiple teeth, or larger prostheses such as dentures, depending on the individual’s requirements and condition. 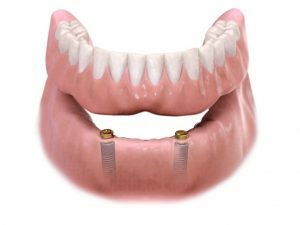 Placement of the implant stabilizes bone levels resulting in greater long-term support, function, and esthetics. They are a superior way to replace missing teeth, as they do not require alteration of adjacent teeth. They are also an excellent way to stabilize a denture. At Summit Family Dentistry, we can help with implant placement, implant restoration, and implant overdentures. If dental implants are an option for you, we will discuss the process in depth during your initial consultation. To schedule your consultation, get in touch with us today. Our top priority is to restore, save and repair your natural teeth as they are the best means of a healthy, functional, and beautiful mouth. However, there are some situations in which the need to removing a tooth is unavoidable. A permanent tooth that is unrestorable due to dental disease. Impacted wisdom teeth or wisdom teeth that result in hygiene issues. A baby tooth that does not naturally fall out that could negatively impact the growth of permanent tooth. If extraction is recommended, we will make sure you are comfortable before, during, and after the procedure. We offer medication and nitrous oxide to help reduce anxiety. If you are concerned about replacing the tooth, we can explain the options available to you and may suggest additional procedures such as grafting to plan appropriately. It is our main concern, aside from doing an exceptional job, to ensure you are comfortable, happy, and safe. We want to make your experience as painless as possible! If you think you have a tooth that needs to be removed, call us today.